Why are Young Living oils so expensive? The first couple of times someone asked me this question, I got angry. Which is ofcoure never a good solution to any argument. Then I changed my approach. First, I noticed that most people who buy the cheap store oils are 100% sure that the oils they buy are great oils. Also, a lot of people use the cheap oils just to have their house smell nice. They use it instead of the candles or other air fresheners because someone told them once that candles are not healthy. They don’t use essential oils or other alternative solutions to create a healthier life. They just go for the smell. Now I just ask them to use common sense and to read the labels. I ask them if the label says that the product contains is just one ingredient, or if there are multiple added? Does the label give a warning that as soon as you ingest it you’re required to call the poison centre immediately? This would already be a give away that these oils aren’t as pure as they are advertised to be.Of course, I realize that some peoples first intention is not always to create a healthier life. But, I can point out that using oils to freshen up the air is great, but if it includes harmfull chemicals your health could be at risk. Another approach is asking if they use olive oil for cooking. I use it a lot and try to use the more expensive kind as it tends to be of better quality. To save money, I often wait till it is on sale. Most people agree with me that good quality is indeed expensive. When I tell them that you need 4-8kg of olives (approximately 1000 olives) to make 1 liter of oil and that 1 tree only has olives for 5 liters, they start to understand the reasons for the high cost. I then continue to tell them that the same applies for essential oils. 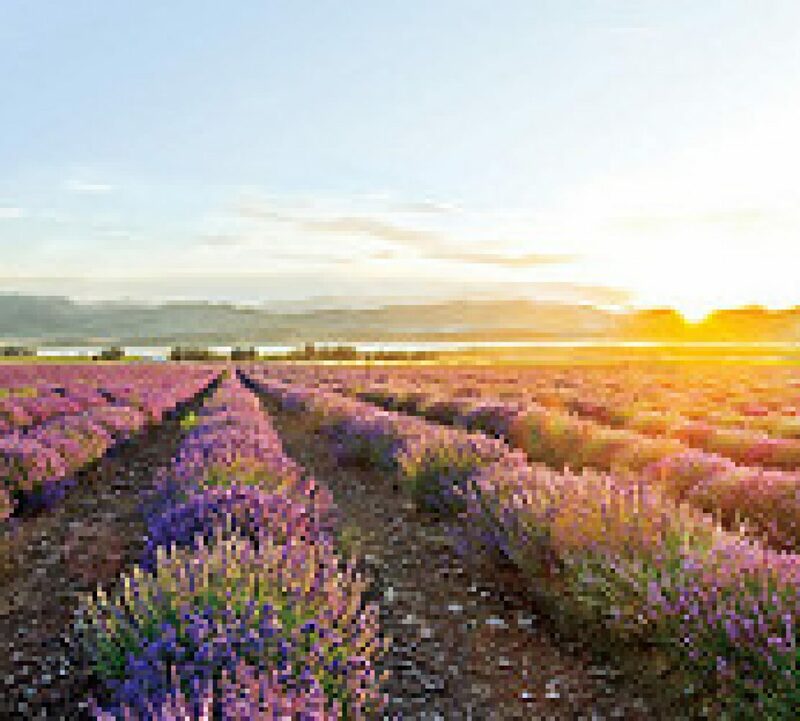 In order to make 15ml of lemon-oil, you need 75 lemons.In order to make 15ml of lavender-oil, you need a 27 square feet field filled with lavender. I try to help them realize that it is impossible to produce pure 15ml Lavender oil for only 3 dollars. Of course nobody will sign up with Young Living on the spot when I tell them this. But my hope is that next time they reach for that cheap bottle of oil, they will think of me. Then I have atleast accomplished that they will start thinking about their health somewhat. The next time I meet them, I can then talk with them again about changing their lives and living a more healthier lifestyle. This blog is based on my own experiences. These are my thoughts. I am not a doctor. Did you ever read a label on your skin care products or your shampoo? How many ingredients do you recognize? Do you know all the other ones, especially the ones with names you can’t even pronounce? Did you ever google them? Better not, because if you google them you also find out what it can do to your body. I know if you ask Google things related to your health you basically die of a heart attack or cancer. The sad thing Google is probably not far off. Nowadays there are so many chemicals in all the products you use that it must reflect on your health on the long-term. I know that it is not possible to control everything, like air pollution or what’s in your water coming out of the tap. But by reading the labels of all the products you use and not only the food labels you can keep yourself healthier on the long term. That’s the reason why I choose the Young Living products. They are non-toxic, chemical free products and all plant-based. Going through my house you see the products everywhere. I changed all the cleaning products for Thieves household cleaner. I am using Young Living toothpaste, Young Living hand soap, Young Living Laundry soap, Young Living dish soap, Young Living shampoo, Young Living skin care…. and the list goes on. And of course I use the oils. For my headaches, when we are sick, for muscle and joint pains. And not only we humans are using it, the dogs and horses are under my spell too. The dog has arthritis in his hips and for him I bought some supplements to add to his feed. After a few days I already noticed a difference. It will never be better but he did get some extra years on his lease. Using these non-toxic, chemical-free, plant-based products is of course not the only thing you have to do to create a healthier life for yourself and family. Food and exercise is extremely important too. Recently I heard about a lady in the US who started to change her life by changing her food and introducing Young Living products to her household a couple of years ago. Her name is Sarah Harnish. She and her husband and children are not only feeling a lot better and healthier, she also started to share her amazing story with other people and convinced a lot of people to change their lives too. Her Young Living business exploded, she helped an enormous amount of people but now she also has the time to relax and enjoy her life and health again. This is an audio to listen to from her about her life and why she choose Young Living. Let me know what you think of it. This blog is based on my own experiences. This is not an advice what you have to do to feel better. I am not a doctor. Balance in life is important. Not only mentally but also physically. These two go hand in hand. If you are not in balance mentally it will inflict your body. Working out will be difficult, eating the right food will be difficult and because of that cravings will start. And as a result you will feel terrible. Too much sugar is famous for these reactions. And it will only spiral down. Fast. It is difficult to step out of this spiral and take control of your life again. You see a lot of people start the new year with all these resolutions. Loose weight, get more active. Unfortunately only a few will succeed. Why? Coming back to these life changes like loosing weight and starting a healthier life, there is a lot to say about it. You’ll ask experts what you have to do and everybody has something to say. So this is going to be my 2 cents. Loosing weight is not just two words. It contains a lot more. You have to adapt to a totally new life style. Just jumping in and changing radically doesn’t work. You have to make little changes first. If you are not very prone to the excessive exercising where you sweat like crazy and are exhausted at the end, then don’t do it. It won’t be very healthy for you anyway. Better is to just start moving. Take the dog for a walk for just 10 minutes (longer), park the car as far away from the supermarket as you can, take the stairs instead of the elevator (or just one stairs and the rest with the elevator). Take the stairs going down. Be inventive. Look around what you can do extra. A step counter is a great way to help you to move just a bit more. Have a look at how many steps you take on a normal day. Keep track of it for a week. Then try to raise these step with 500 or 1000 a day more. 3 Times a week. That will be your first small step. After a month you know for sure that it has started to be a habit and you can upgrade it to more days a week and/or more steps a day. And then there is that dreadful food. Biggest mistake a lot of people make is assuming that because they started moving they can eat more. Or take an extra glass of wine. It is setting yourself up for disappointment. Don’t do that to yourself. Don’t start to eat less drastically either and be hungry all the time. Your body has to adapt to this. Your mind aswell. What you can do is trying to change that snack at 2 o’clock for something healthier. Eat some fruit or vegetables. Drink tea or coffee or water (NOT soda). Or go do something so you have burn those calories. Or set an alarm 2 hours later and make the deal with yourself that this will be the time you can eat it. Most times you don’t really want it anymore. But even more important DON’T BEAT YOURSELF UP IF YOU STILL GRAB THAT UNHEALTHY SNACK. Your mind is used to eating it, and your mind is very powerful when it comes to preventing changes. What also helps a lot is getting a journal and write down everything that you eat. Make a habit out of it. Don’t add calories or how much sugar or fat it contains. Not important for now. Just have an honest look at what you eat. It will also give you some insight on where you can make some changes. Keep focused on changing what you eat. Also, don’t look at a scale for some time and don’t expect to lose 2 sizes in one month. It won’t happen. Young Living can help you with finding your balance too. Especially the US market has a lot of foods, supplements, snacks, etc. which you can use. Oils can help aswell. Keep you focussed and keep you motivated. Google how they can help you. There is so much information out there what you can use. Or you can ask by emailing me and I can send you in the right direction. This blog is based on my own experiences. This is not an advice what you have to do to feel better. This is my experience. I am not a doctor. What I can advice is to visit your family doctor before you start exercising. My entire life I have had these monthly problems caused by hormones. For me they are working too good for my body. I know exactly when everything down south is happening. The entire cycle I can follow by paying attention to my moods and my desire for certain food types. At the end of the month I don’t leave the house for two days and after these two days I need almost a week to get my energy back. In the Netherlands they sell a little jar filled with “appelstroop”. It’s filled with molasses and apple, fulfils my need for sugar and is loaded with the so needed iron I am short on. together with spinach and liver (love that with onions and bacon) I am back to “normal” really fast. While iron is better absorbed from heme (meat) sources, non-heme (plant) iron is better regulated causing less damage to the body. High iron foods include clams,liver, sunflower seeds, nuts, beef, lamb, beans, whole grains, dark leafy greens (spinach), dark chocolate, and tofu. Nowadays I also add an oil blend to my regime and I sometimes wonder why I didn’t discovered it 20 years ago. The name of this blend is Dragon Time. Yes the name says enough. For me it takes away the cramps and my body relaxes and recovers just faster and better than before. So if you have the same problems: bring in the Dragon Time and get rid of the dragon. The holiday was proclaimed by Lieutenant Governor Helen Hunley, on the advice of her premier, Don Getty. Premier Getty said it was important for Albertans to spend time with their families, and that this holiday would emphasize the importance of family values. Personally I don’t think a father should need a day in the year to be force to spend time with their family. A father should be their for their kids the year round. Make time on regular basis to spend time with their children. My husband always has been there. From day one he changed diapers. Almost every night he took them to bed. He played with them. He went to school activities. He was always interested in what they did. When I had something to do outside the house and asked him to babysit the children he always corrected me that you can’t babysit your own children. You take care of them no matter what. He still text them or has them on the phone. Plays games with them or is having discussions with them. And he always worked hard too. So this special day named familyday isn’t different from other days for us. He is building a storage space in the basement, my oldest is gone for the day with her boy friend, my youngest is hanging out in front of the tv. Tonight the 3 of us will have diner together and we will enjoy each other. Be a family. This can also be a reason to start a business from home. As a mom it is a great way to be home with the kids and still earn some extra (or more) cash. For me number 1 reason is to be able to pay off the mortgage and have a lot of extra money so my husband can retire sooner. Would that not be great? Sometimes I wished I had started with Young Living 10 years ago. On the other hand I still have more than 10 year till I reach the age of retirement so I still have a lot of years to build and keep building my business. Are you considering working from home? Just do it. I work for a company with a great compensation plan and great products. Investment is minimal. You don’t need to buy yourself in into a franchise. You don’t need childcare. You can do work whenever you want. What more do you want? The only think you really have to do is believe in yourself and go for it. Just do it and don’t give up!! Curious? Like to know more? Contact me.